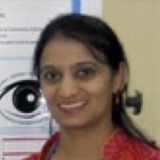 Dr Uma Kulkarni is Professor in Ophthalmology in Yenepoya Medical College which runs undergraduate and post-graduate courses in Ophthalmology and Optometry in Mangaluru, India. Since 2012, she has also been Faculty at the Centre for Ethics which conducts PG Diploma courses in Ethics, and a Master’s programme in Research Ethics, an annual Intensive Research Ethics workshop along with general ethics committee training and mentoring. She is Member Secretary of the Yenepoya Ethics Committee- 1. Dr Uma is also Coordinator for academic courses, NAAC and the student exchange programme at Yenepoya deemed University. She has authored about 15 publications in national and international journals in the fields of Ophthalmology and Ethics. Her special interests are studies on blindness and its psychosocial impact, research ethics, ethics committee functioning and training, Her hobbies include conducting quizzes, photography and poetry.